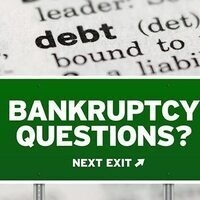 Have you or someone you know considered bankruptcy to deal with debt due to un(der)employment. Separate fact from fiction in this informative session. Ron Drescher is a Bankruptcy and Creditor's Lawyer Serving Maryland Delaware Virginia and Pennsylvania. An experienced attorney and founder of Drescher & Associates, Ron is also author of "File Bankruptcy and Get Rich" in which he explains the power of eliminating debt and making regular payments towards investment accounts instead of high interest credit cards. This informative text explores the surprising impact of bankruptcy to help improve credit scores, the paralysis of wage garnishments, the trap of invading retirement accounts to pay bills and other tools of bankruptcy. This will be a rare opportunity to hear from a respected attorney with extensive experience in personal and business bankruptcy, creditor’s rights and commercial litigation. Ron has helped thousands of consumers, businesses and creditors. He posts weekly videos on topics related to bankruptcy and litigation on his YouTube channel, MDBankruptcyLawyer.